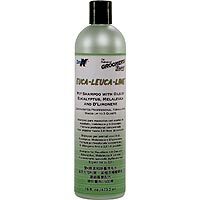 PRODUCT DESCRIPTION: Shampoo which is melaleuca based. It has no irritants and will serve to condition, relieve itching and promote healthy healing of skin which has been damaged by fleas and other insect bites. WHERE TO USE IT: Dogs, Cats, Puppies, Kittens and just about any pet which has a bad skin condition that needs relief. RELATED PRODUCTS FOR PEOPLE: FLEA REPELLENT (aerosol spray), FLEA BITE OINTMENT (for people and pets). RELATED PRODUCTS FOR THE PET: FLEA COMB OXY MED ITCH RELIEF SPRAY WATER BASED (GENTLE) PERMETHRIN PET SPRAY PETCOR (alcohol based – strongest pet spray available – KILLS FLEA EGGS!!) TRIPLE PYRETHRIN PET SHAMPOO (great smelling and very effective) FLEA DIP CONCENTRATE FLEA POWDER (for treating dogs and cats).